Description of "FINK! 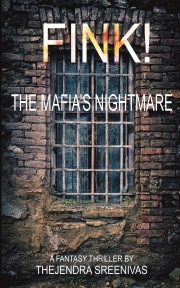 - The Mafia's Nightmare"
There is nothing worse than a brutal crime that remains unsolved for years. What can be more painful for the victims and their loved ones than to see the perpetrators still roaming free from the tentacles of justice? But not anymore. There is someone in town now who can give solace to such victims. A new headache has now entered the underworld and that’s not the police. Meet a mysterious private investigator with the strange powers to solve cases that have stumped the police for decades. A man who can handle baffling criminal cases that even the world’s greatest detectives fail to make any progress. A faceless stool pigeon who is sending shivers down the spine of the Mafia and the underworld by mysteriously unraveling all their darkest secrets. A chap every police chief would love to have on his team. Who is he? What is his secret? How does he do it? Why is he doing it? Who are his sources? Reviews of "FINK! - The Mafia's Nightmare"